Royal Nails Hawaii is dedicated to customer satisfaction. We strive to provide the best customer service to our customers! Relaxed and feel like royalty! 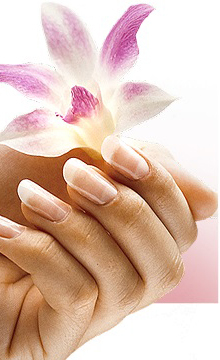 Royal Nails is an establishment dedicated to customer satisfaction. We strive to provide a relaxed, comfortable, and family-oriented environment for our clients and we work hard to exceed each of our client's expectations by tailoring our services to cater to each individual's specific needs. Our team of highly trained, licensed, and experienced technicians will continually be looking for ways to make your visit worthwhile. We offer a variety of nail services for men, women, and children; from manicures and acrylic nails to pedicures and waxing services, we've got it. Our friendly and helpful staff can answer your questions and suggest what would best serve your specific needs. We use only the finest products here and we'll provide you with the right products and techniques to keep your nails looking vibrant and strong at all times. The products we carry will help you look and feel at your very best. Our salon has made a commitment to providing you with the cleanest and safest nail salon experience. Our team of technicians are knowledgeable in regards to your nails and can work together efficiently to keep your hands and feet healthy. It is always our pleasure making your comfort a top priority here at Royal Nails! We accept parties, appointments, and walk-ins. Look and feel like royalty!